Warren Buffett’s Berkshire Hathaway is having a bad year so far. He has been crown the most successful investor of the 20th century. However, I have often read that Buffett evaluates stocks as if he is buying the whole business. I am somewhat puzzled by his rather large position in IBM. Berkshire Hathaway owns 79.57 million shares of IBM as of June 30, 2015 according to the most recently available filings, making it one of his largest investments. He is also IBM’s largest shareholder, with almost 20 million more shares than the next-biggest investor. IBM’s stock price is down because its revenue has been stuck in a prolonged decline. In fact, IBM’s revenue has fallen for the past 14 quarters in a row. That is an infamous track record that makes IBM a scary proposition as an investment. The company has suffered from an inability to expand quickly enough into higher-growth areas like big data, security & the cloud and it has been dragged down by less-profitable hardware businesses like semiconductor manufacturing. IBM shares are down 22% in the past three years but IBM’s earnings per share grew 8% from 2012-2014. That’s largely the result of IBM’s aggressive share buyback program. IBM has spent 50 Billion Dollars buying back shares. If you want more information on share buy backs: Are Share Buybacks Good or Bad for Investors? Berkshire’s fourth largest holding, American Express (AXP), has plunged 17% this year. Procter & Gamble (PG) is down 18%. The Tide maker is Berkshire’s seventh biggest investment. Finally, there’s Wal-Mart (WMT), the stock has plummeted more than 30% this year. It’s the worst performing stock in the Dow. It doesn’t look like things will improve anytime soon following last week’s Wal-Mart’s shocking sales and profit warning for next year. Chasing performance is a common mistake that I have made in the past. Buying into a particular strategy, asset class or fund because it has done extremely well could also mean this great performance may be nearing its end. Before buying Warren Buffett’s Berkshire Hathaway, you should know what you are buying. Although Berkshire Hathaway owns 50 different stocks, they are all American companies and 61% of the fund is invested into four stocks. 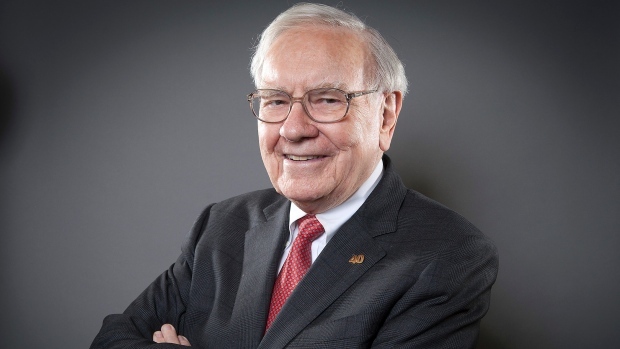 Now Mr. Buffett is 85 years so going forward his successor will be more responsible for future performance. Would you buy shares of Warren Buffett’s Berkshire Hathaway or some of the same stocks that he likes? Remember, past performance is no guarantee of future returns! ← Inflation: Why Do Prices Increase? I’ve always been fascinated by Warren Buffet, as many of us are, and continue to learn new things from him. I do question whether or not his strategy is effective in today’s investing climate. For the most part I am in it for the long haul, but you do have to watch your portfolio carefully with how quickly the world is changing. I agree with you, you have to watch your portfolio. Your post today “When life was simple” illustrates how much the world is changing. Companies that fail to keep up will become bad investments.